Back in May, I was watching Gardener's World and they were giving away free seeds. I can't resist free things so I sent off for some. They came a little while later and now I'm really into my gardening! My newest plant is a bromeliad. 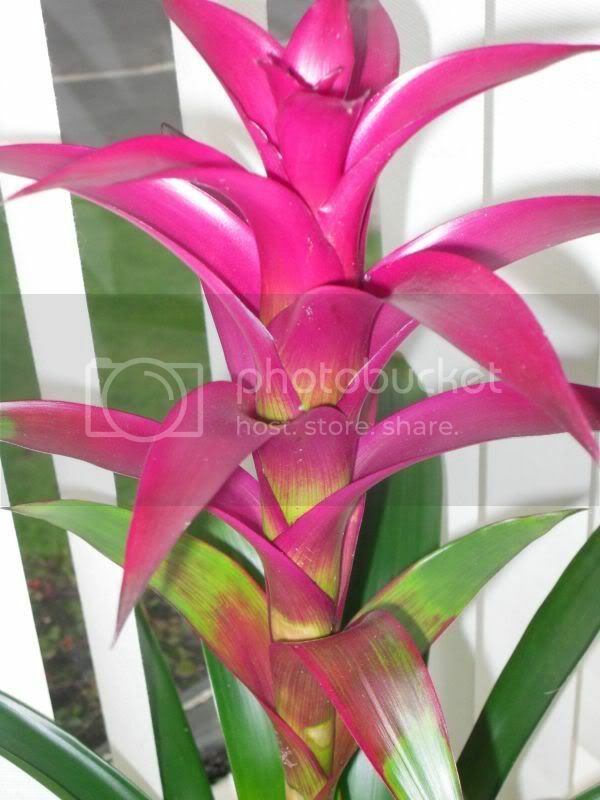 A massive purpley pink guzmania. Tis prettyful!